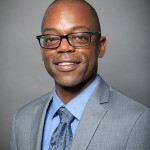 Michael Wilson earned his BA from Dartmouth College, attended a Post-Baccalaureate program in Ancient Greek and Latin at the University of Pennsylvania, and earned his J.D. from the University of California, Los Angeles. He is admitted to practice in California federal and state courts and the District of Colorado. Michael represents individuals, financial institutions, mortgage lenders, and other business entities in federal and state court concerning a range of issues such as real estate and mortgage disputes, appraisal and broker misfeasance issues, inter-facility banking agreement disputes, and TILA and RESPA claims. Michael has litigated multi-million dollar bankruptcy matters and conducted general civil litigation including business alter ego complaints, fraud, copyright, usury, collections, claims investigation and employment disputes. Michael lives in Los Angeles with his husband Anthony and their daughter Destiny and enjoys traveling, socializing, and indulging his penchant for the newest electronic gadget.